Since its founding in 2001, the Nebraska University Center for Information Assurance (NUCIA) has helped improve the posture of information assurance awareness locally, regionally and nationally. The collaborative efforts of faculty, students and community partners have earned UNO the distinction of being named a Center of Academic Excellence in Information Assurance Education by the National Security Agency (NSA). Studying information assurance and cybersecurity is a little bit like studying medicine: there’s an endless list of applications and possibilities. 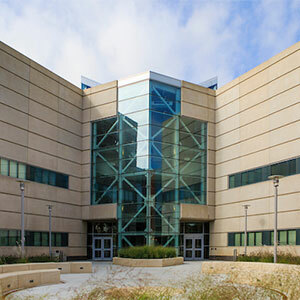 Other IS&T disciplines such as computer science and bioinformatics intertwine with cybersecurity coursework. There’s even an overlap with criminal justice. Any company that conducts electronic commerce will need cybersecurity. Security threats are continually evolving, and they range from hacking a home-based personal computer to large-scale communication systems. NUCIA prepares students to become security professionals capable of protecting this valuable information. Our Security Technology Education and Analysis Laboratories (STEAL) are isolated from the rest of the Internet, allowing for experiments in a secure environment. The National Science Foundation (NSF) funds the Scholarship for Service (SfS) program, which grants tuition and fees plus a stipend to students studying information assurance or a related field. In exchange, students intern with a qualified agency and accept a job at such an agency upon graduation.